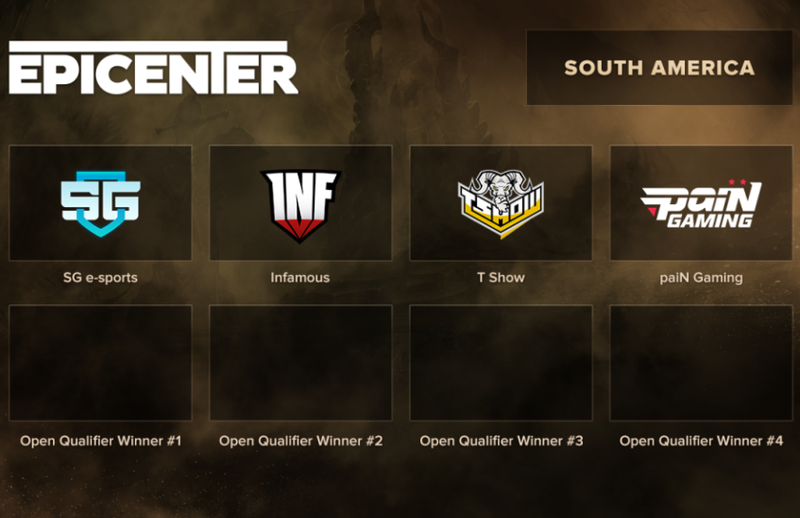 Today, as qualifiers for the EPICENTER XL Dota 2 tournament are relentlessly drawing near, we present you the four teams that have been invited to the South America closed qualifier. They include three Brazilian teams — SG e-sports, paiN Gaming, and T Show — and Infamous, a very strong Peruvian team that represented South America at The International 2017. These teams have more than once caused amazement at international tournaments of the highest tier, and have stolen viewers’ hearts around the world. We look forward to seeing them in a spectacular battle for a ticket to EPICENTER? Open qualifiers for EPIСENTER XL starts on 20 of January. Want to take part in a Major qualifier and take on the world’s strongest teams for a $1,000,000 prize? Register now at the links below, and don’t be shy of your rank — the qualifiers are open to everyone!